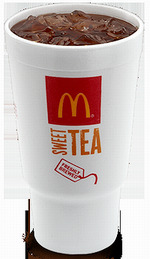 OAK BROOK, Illinois, March 20, 2012 (ENS) – In response to a 2011 shareholder resolution filed by shareholder advocacy organization As You Sow, McDonald’s Corporation confirmed that it is taking a step toward the possible phase-out of polystyrene foam beverage cups. The 2,000 test restaurants represent nearly 15 percent of McDonald’s restaurants in the United States. The shareholder proposal, which asked the company to assess the environmental impacts of different kinds of beverage containers and to develop packaging recycling goals, received the support of nearly 30 percent of total company shares voted, a high result for an environmental issue proposal, and the highest vote to date for any As You Sow proposal on container recycling. In 1990 McDonald’s began to phase out foam-based clamshell food containers amid concerns that petroleum-based food packaging persists in the environment for hundreds of years. Over the next decade, McDonald’s eliminated more than 300 million pounds of packaging and reduced restaurant waste by 30 percent, saving an estimated $6 million per year. However, the company continued to use billions of foam-based beverage cups. Styrene, used to make polystyrene, has been listed as a possible carcinogen by both the International Agency for Research on Cancer and the National Institutes of Health’s National Toxicology Program. Several epidemiologic studies suggest an association between occupational styrene exposure and an increased risk of leukemia and lymphoma. Polystyrene cups are not commonly recycled. Foam particles are among the most common items found by environmental groups leading beach cleanups. Carried through storm drains to the ocean, foam containers break down into small indigestible pellets which animals perceive as food, resulting in the death of birds and fish. Due to such concerns, more than 50 cities in California and 100 cities in the U.S. have banned or restricted the use of polystyrene food packaging. “We will continue to mainstream sustainability into our day-to-day business, bring value to the communities we serve, and value to our company through efficiencies, innovations and consumer relevance,” said Bob Langert, McDonald’s global vice president of sustainability. For example, McDonald’s has made a commitment to sourcing all of its food and packaging from sustainable sources over time. In addition, all fish for McDonald’s Filet-O-Fish sandwich is wild caught, and currently 99 percent is sourced from fisheries certified by the Marine Stewardship Council. On February 13, McDonald’s announced that it will require its U.S. pork suppliers to outline their plans to phase out the use of sow gestation stalls, a move supported by The Humane Society of the United States. 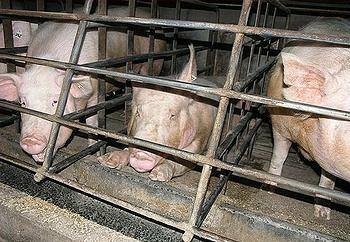 “McDonald’s believes gestation stalls are not a sustainable production system for the future. There are alternatives that we think are better for the welfare of sows,” said Dan Gorsky, senior vice president of McDonald’s North America Supply Chain Management. McDonald’s actions are backed by leading independent animal welfare experts, including renowned scientist Dr. Temple Grandin. “Moving from gestation stalls to better alternatives will improve the welfare of sows and I’m pleased to see McDonald’s working with its suppliers toward that end. It takes a thorough plan to address the training of animal handlers, proper feeding systems, and the significant financial investment and logistics involved with such a big change,” said Dr. Grandin.